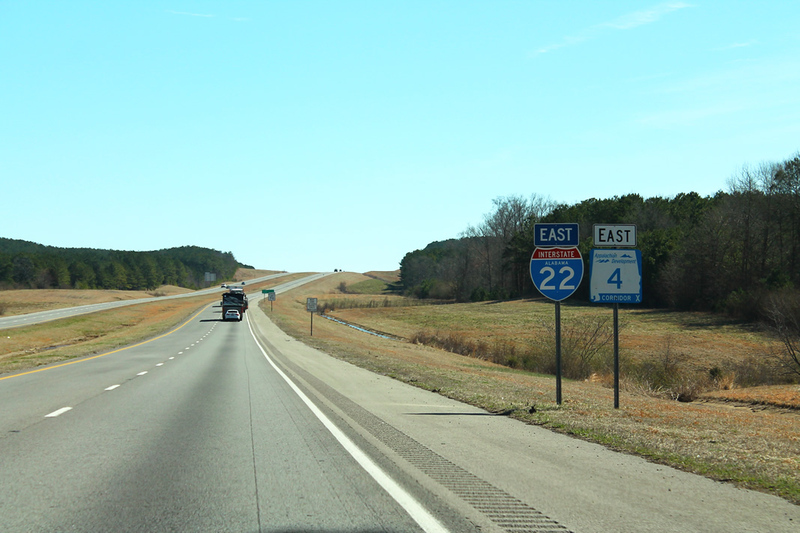 Interstate 22 and Alabama 4 east of Exit 34 (Alabama 233). Note since the incursion of I-22 the removal of the U.S. 78 shield. Photo by Josh L., 2/24/2014.